Poetry, said T.S. Eliot, enlarges our sensibilities to a degree greater than painting or sculpture. The reason lies in the power of words to raise our hidden feelings to the conscious level. Eliot concluded that a poet’s first duty must be to language. Poet James Ragan came to appreciate the power of language at an early age. His family had emigrated from Czechoslovakia to settle in the Pittsburgh neighborhood of Duquesne, a steel town bordering the Monongahela River. Unable to take up his previous occupation of farming, Ragan’s father found more lucrative work tending the blast furnace of a nearby steel plant so massive the locals referred to it as Big Bertha. If abandoning the old country meant leaving behind a way of life, the immigrant family brought to the new world an important companion: their native Slovak. Indeed, it was the only language they spoke. That social restriction posed little problems at school where the young Ragan studied with Slovak nuns who were themselves enthusiastic practitioners of their native tongue. But things were different when it came to getting along with children in the neighborhood. Language, it seemed, had the power to change people. Despite the boy’s interest in athletics, and much to the surprise of his relatives, his newfound love of language compelled him to take up poetry. “The more I learned English words, the more I sang them in my mind,” he says. “And then I discovered I loved to put them on the page.” The shift from prose to verse was not without influences. First was the cache of books by Czech and Slovak authors, carted over from the old country by literature-loving parents. And second was the material inside those books: “Slovak is a very lyrical sounding, rhythmic language,” he says. “When I started writing in English, that quality began to come through.” Too, a High School foray into oil painting, for which Ragan won an award, fostered an appreciation for pictorial image that transformed into poetic metaphor. The move to poetry, though, meant employing words in a new way. Ragan had engaged with his boyhood peers by utilizing language as a channel of communication, as an invitation to compromise and understanding. Poetry would demand readers participate consciously with language as a tool of construction. That can be a lot to ask of people unwilling to extend the requisite effort. The youngsters whom Ragan talked out of fighting, for example, would likely reject any well-intentioned offer of a slim volume of verse. Especially fortuitous for the modern audience, drama’s marriage with poetry has historic precedent. If Shakespeare’s iambic pentameters come at once to mind, Ragan reminds us that poetry was a vital element in the earliest days of Western stagecraft. “For the Greek tragedians, the chorus itself was the poetry of the play,” he says. “Their whole dialogue used poetry. And Aristotle titled his book about drama Poetics.” More recently, verse plays had been a favorite medium for Auden, Eliot, and Yeats–three poets Ragan admires. An argument can be made that these poets exhausted the potential for the verse play, and whether that is true or not, the fact remains that today’s theater audience will rebel against any language too divorced from the common tongue. For Ragan, the point is not that a play should be written in blank or free verse, but that it should contain poetic rhythm and metaphor to the degree requisite for the creation of a theatric experience that captures the popular imagination. 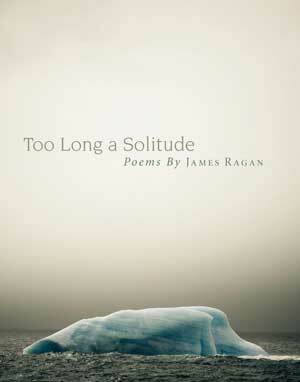 James Ragan, Too Long a Solitude, University of Oklahoma Press, 2009. From theater it is a natural step to another public instrument. Film attracts an audience still greater than the stage while providing the same elements of subplots, dialog, actions and characterization which are difficult or impossible to express in lyric. Ragan has also ventured successfully into this form, most recently completing work as a screenwriter for The Rising, a film about the Irish Easter rebellion of 1916. As the stage so the screen, where Ragan again draws sustenance from poetic roots. “I try to use descriptive metaphors as often as I can to drive the story forward and to help the audience understand the characters,” he says. Conversely, elements of story and plot can inhabit poetry. “Critics often say there’s drama in much of my work,” says Ragan. “In my poem ‘Tent People of Beverly Hills,’ for example, I have employed story and drama throughout to give a visually personal view of what it’s like to be homeless.” Reading that poem at the First International Poetry Festival in 1985 in Moscow, Ragan experienced at first hand the power of the drama and verse amalgam. Bob Dylan, another of the four western poets invited to read, requested and received the original copy of the poem, which he retains it to this day. As these comments suggest, to a considerable extent a writer can merge the different formal components art brings to the table. “Film is a visual medium, drama is a talking medium, and poetry is both,” says Ragan. “They’re all married, as far as I’m concerned. And I’m going to exploit language in everything I write.” Creating this orchestral mix of the prosaic and poetic engineers a push-pull between language as inviter and demander discussed earlier in this essay. A dialogue of familiar characters pulls the audience into the art, while rhythm and metaphor enlarge the audience’s sensibility by pushing language into new territory. Little wonder the term “poetics” since Aristotle’s day has come to refer to the study of the creative principles informing cultural constructions beyond verse. The elements of poetry will conspire with any art form that aspires, to recall Walter Pater, to the condition of music. The painting at the top of this essay illustrates to a significant extent this aesthetic amalgamation. Edwin Austin Abbey’s realization of Shakespeare’s King Lear dramatizes the marriage of painting with thespian recitation, poetry, theater, and even costume design. It also suggests a potential conflict: The poet who plays on public instruments must make peace with other creative talents, be they actors, directors, or cinematographers, all of whom work with competing constructive materials such as the human body and light. James Ragan, In the Talking Hours, 3rd edition, University of Southern California Figueroa Press, 2004. The experiences of these choreographers and musicians suggest the conflicts that can arise despite the best of intentions by artists seeking common platform for disparate forms. The first question is one of status: Will one art form predominate over the other? One is reminded of the music of Tchaikovsky, so robust in the composer’s pure symphonies yet so subdued in his ballet accompaniments where instrument defers to dancer. Cage and Cunningham attempted to maintain the dominance of their respective arts by working their constructive materials along parallel tracks, even as Ma and Morris, engaged in a dialog to draw the essence of one art form into another, betrayed a willing abdication of dance to music. We see the same principles at work in Ragan’s collaborative efforts. Just as Morris’s dance subdued itself to the demands of the music, does not the poetry of drama hide shyly behind the stage scenery? Is this not the price it pays for what theater gives? And that gift can be substantial: We earlier noted Eliot’s assertion that the stage—we extend his insight to film—cuts across the stratifications of the public taste. It does so, he believed, by providing multiple levels of significance, each of which appeals to an audience at a certain degree of sophistication. The first level is plot, for those seeking the satisfaction of a good story. The second is character and conflict, for the more reflective. The third is words and phrasing, for those of a literary bent. The fourth is rhythm, for the musically inclined. And we arrive at a final level, appealing to readers and viewers who possess the highest degree of sensitivity to the constructive elements of language. Eliot identified this only as the meaning which reveals itself gradually. Whether a single work of art can really satisfy all those levels—Eliot believed Shakespeare’s plays did so—and whether we should add more to the list, are matters for further conjecture. Meanwhile we affirm two beliefs. One is that lyric poetry can best satisfy Eliot’s first two levels of meaning by taking up residence on the set of stage or film. Another is that to reach the third through fifth level, stage and screen had best appeal to the suggestive power of poetry. Theater for the sprint; poetry for the marathon. 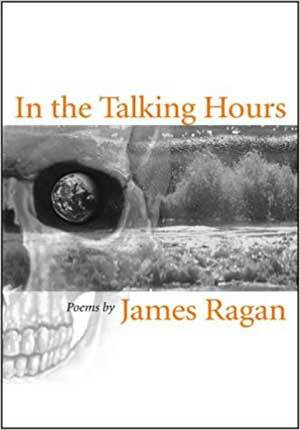 Ragan has said he welcomes an audience’s enjoyment of his public recitations, but he would like everyone to read his poems later in private to reach their deeper universal meanings, crossing time and borders. An immediate engagement with the theatric can sound the echo of that music which Eliot said does not exist apart from the meaning of the words; only a continuing engagement with language can reveal that unnamed meaning which provides for the aesthetic a firm foundation, the symphony in full. 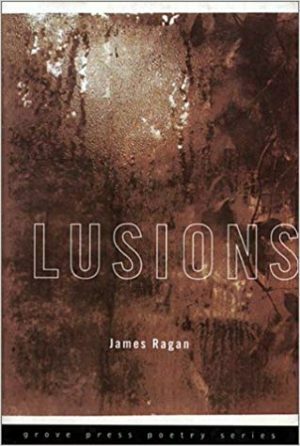 James Ragan, the author of nine books of poetry, has read his work for seven heads of state and for the United Nations, Carnegie Hall, CNN and audiences in China, Japan, India, France, Spain, Brazil, and more. In 1985, he was one of four poets from the West, including Seamus Heaney, Bob Dylan, and Robert Bly, invited to perform for Mikhail Gorbachev at the First International Poetry Festival in Moscow. Published in 15 languages and 25 anthologies, Ragan has been honored with three Fulbright Professorships, two Honorary PhDs, the Emerson Poetry Prize, nine Pushcart Prize nominations, a Poetry Society of America Citation, a London’s International Troubadour Poetry Prize Finalist, an NEA Grant, and the Swan Foundation Humanitarian Award. His plays have been staged in the United States, Moscow, Athens, Beijing, and Prague. 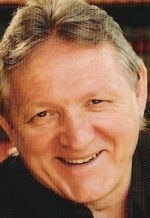 He worked as a screenwriter at Paramount Pictures and for 25 years directed the Professional Writing Program at the University of Southern California. For the past 25 summers he has served as Distinguished Professor of Poetry at Charles University in Prague. T.S. Eliot, On Poetry and Poets, (1943). Farrar, Straus and Giroux, 1957. — Selected Prose. (1933). Farrar, Straus and Giroux, 1975. Yo-Yo Ma and Mark Morris. Falling Down Stairs. DVD. Sony Classical, 1998. John Cage and Merce Cunningham. Points in Space. BBC Television. DVD. Kultur, 2007. 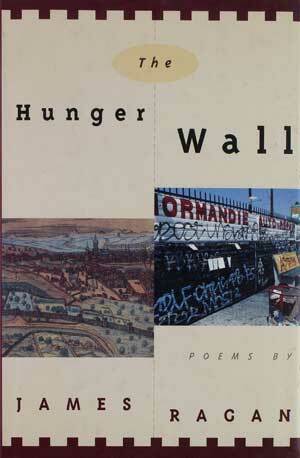 James Ragan, The Hunger Wall. Grove Atlantic, New York, NY, 1995. Unattributed statements by James Ragan were recorded during interviews with Walter Idlewild in August and December 2018.